A full report of our recent General Meeting will be along soon, but these bits of information were requested ASAP, so here they are. The James Hutton Institute offers a soil testing service via Hutton Soils (thanks to Bruce Plot 79 for this tip). The slides from Fiona Swapp’s fascinating talk are available on her blog. Please note the room change!!!!!! Coffee and cake on offer and maybe even a glass of something fizzy! 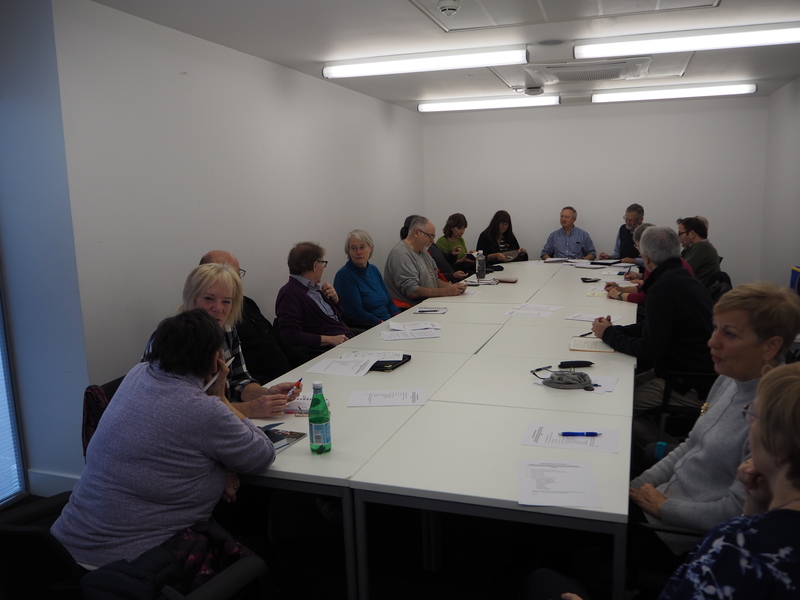 I want to thank everyone who turned up to make our AGM and General Meeting such successes today. I am still buzzing with the ideas raised in discussions. Or perhaps it’s from the free-flowing prosecco! It was wonderful to see so many there and to get such positive messages and suggestions. Wonderful too to get the two vacant places on our Committee filled with willing nominees from the floor. My thanks and congratulations to Alex and Gillie. 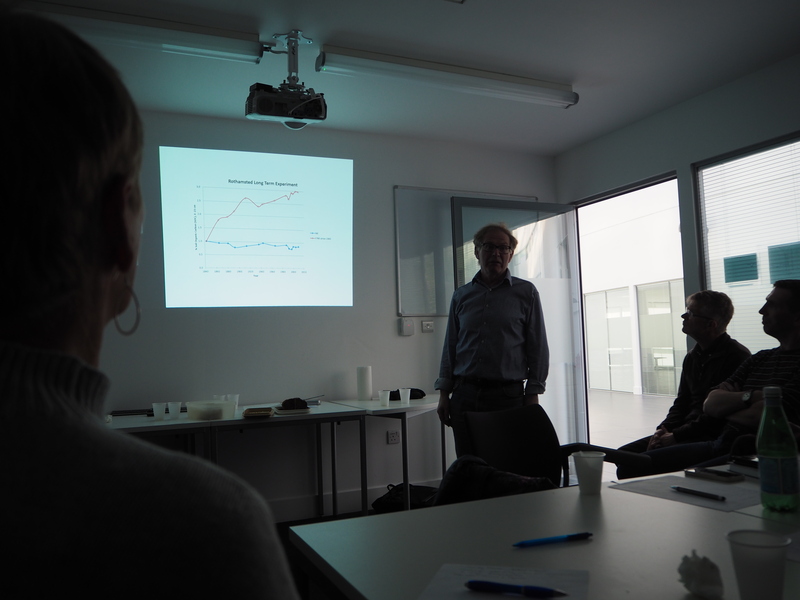 Special thanks go to Bruce for his very interesting talk, Soil: and how to improve it. We hope to get a copy online in the next week or so for the benefit of those you could not make it along today. Thanks too to Michael and Jacqui for the excellent cakes. I expect we will see them on Britain’s got Baking Talent next year. So, thanks again everyone. Clearly, we are going to need a bigger room from now on! 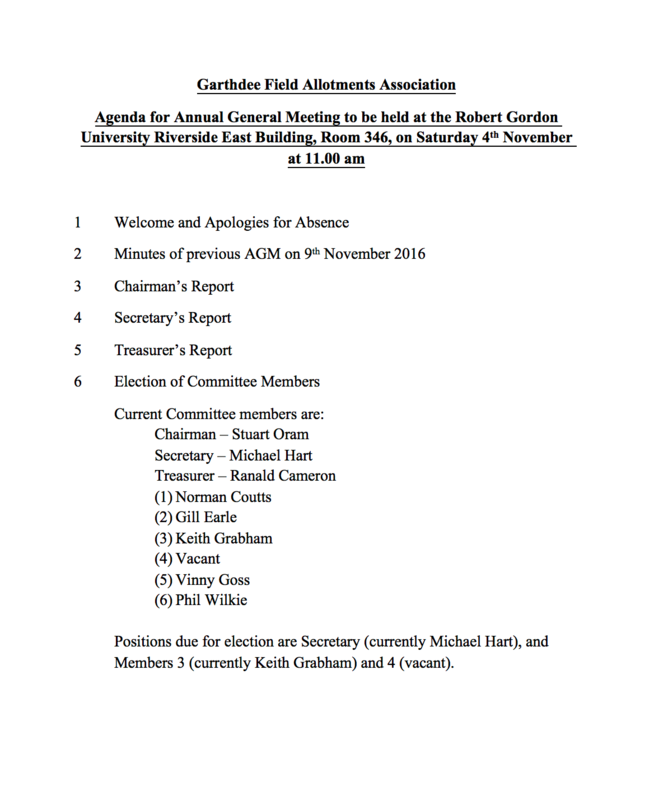 Our GFAA AGM will be held this Saturday at 11.00 on the RGU Campus. The short formal AGM will be followed by an informal General Meeting that will include a talk by Bruce Taylor from Plot 79 entitled, “Soil Health and how to Improve it”. 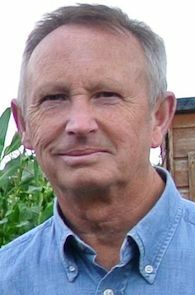 Bruce has just finished a Masters Degree in Soil Science and has recent approaches and practical experiences to share. We have moved this AGM to this new time on a Saturday to avoid dragging plotters out on cold, wet, dark evenings as before and are hoping for a big turnout. 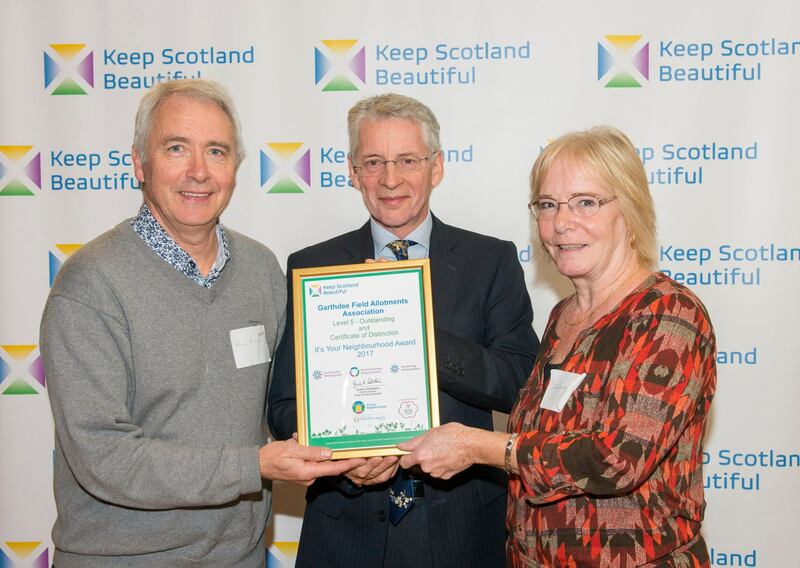 It is with great pleasure that I can tell all GFAA members, volunteers and friends that at the recent Britain in Bloom hosted, It’s Your Neighbourhood Awards Day, GFAA were awarded an Outstanding Level Award and, better still, our first Certificate of Distinction. Gill and Phil attended the event on our behalf. Our IYN Assessors, Ian and Sandra Maclennan, were full of praise and warm words for your efforts and achievements over the season. A copy of their Garthdee Field Allotments Association 2017 report is attached. The Evening Express Coverage was very positive about GFAA. We are obviously delighted with this success and I want to thank all who contributed to the effort over the year. It’s been a super season on so many fronts, but nothing could be done without the continued support of plotters, volunteers and friends. 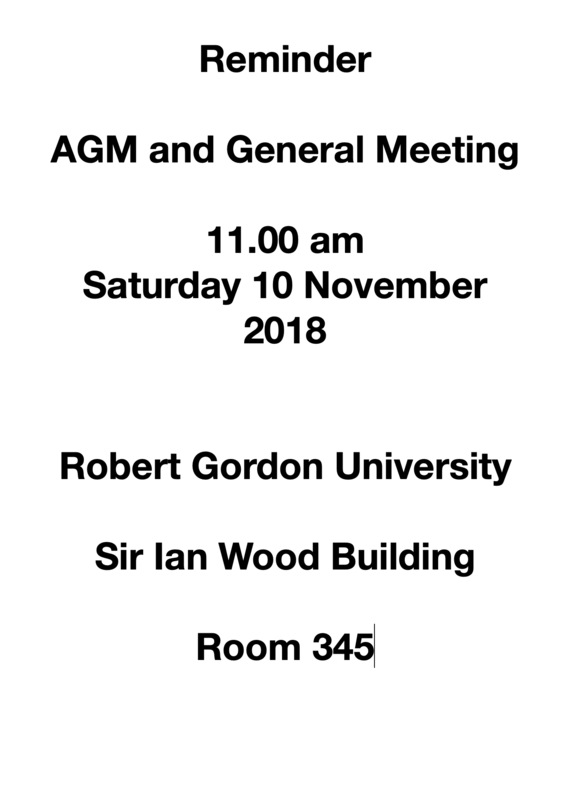 We are planning to share congratulations and celebrations at our up-coming AGM and General Meeting on Saturday 4 November at 11.00am at RGU Riverside East Building Room 346. I hope we will have a really big turnout. Everyone is welcome. We want your help to set directions and priorities for the coming year. 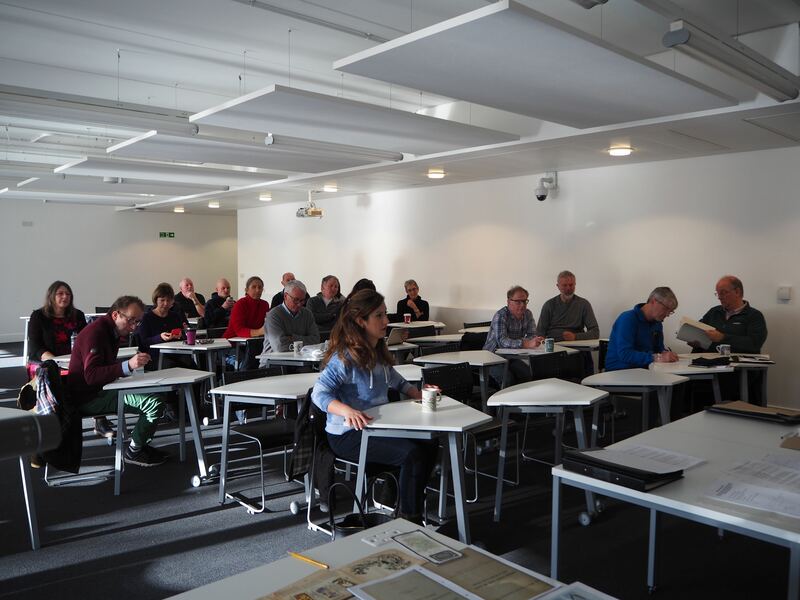 Our AGM and next General Meeting will take place at RGU’s Riverside East Building, Room 346, at 11.00 am on Saturday 4 November. Free parking is available at RGU. The AGM addresses reports from Chairman, Treasurer and Secretary, election of Committee members and amendments to the Constitution. The General Meeting which follows will address general Association business, specifically on-site activities and how these are delivered. All specific points for agendas should be advised to me by 21st October for inclusion in the detailed agendas which will be circulated two weeks before the AGM/GM.